With the release of their second album Anything Goes, you can access articles and appearances from Florida Georgia Line are all over the place this week. 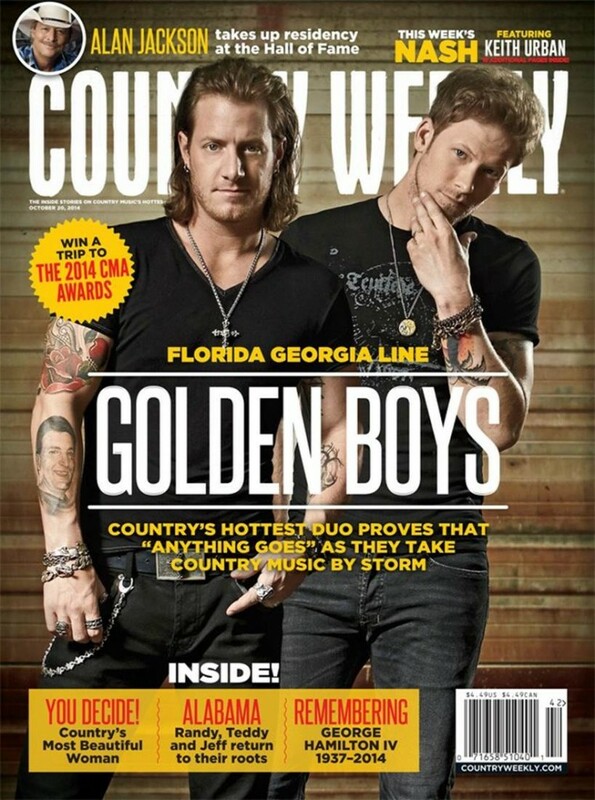 The boys are the cover feature for Country Weekly, they’re in the “Picks” section in People Magazine with Anything Goes, featured in Billboard Magazine, and will be on CMT Instant Jam tomorrow! Check these out for exclusive pics and inside details. FGL will be performing an exclusive show in Nashville for the CMT Instant Jam, which premieres tomorrow night on the Hot 20 Countdown and the CMT app at 10 PM. “Florida Georgia Line return to Nashville to perform at local hotspot Exit/In when CMT INSTANT JAM: FLORIDA GEORGIA LINE premieres Friday, October 17 at 10:00 p.m., ET/PT. Fans can catch a first look of “Get Your Shine On” from INSTANT JAM on tomorrow’s HOT 20 COUNTDOWN and on theCMT Artists App beginning at 11:00 a.m. ET., before it heads into CMT and CMT Pure music hours beginning Monday, October 13.